Discoveries camp—an activity of the South Moreton Presbytery for children grades 3–7 in 2018. Registrations have now closed. For information see website. "Faith that lasts" two-day seminar and workshop with Jake Mudler hosted by Real Life Christian Church. Registrations close 12 February. Cost: $59–$99. See website for more details. 9 am–4 pm. 129 Dennis Road, Springwood. Free information session on depression and anxiety hosted by Merthyr Road Uniting Church. Includes morning tea. RSVP by 22 February. 10–12 pm. 52 Merthyr Road, New Farm. We want to make sure that those who will be driving our future strategy are part of this discussion. As such, we are seeking a broad representation of gender, age and multiculturalism, particularly those aged 25 to 45, who are passionate about the life of the Uniting Church. Today Moderator Rev David Baker will attend the funeral of past Moderator Rev Lewis (Lew) Born held 1:30 pm at Chermside Kedron Community Church. Rev Lew Born was ordained as a Methodist minister in 1953 and served as moderator of the Queensland Synod from1982 to 1983. Lew was coordinator of the Congregational Life Enrichment Process and was involved in the early development of Lifeline in Brisbane. This Friday David will travel to Adelaide to attend the National Young Adults Conference. 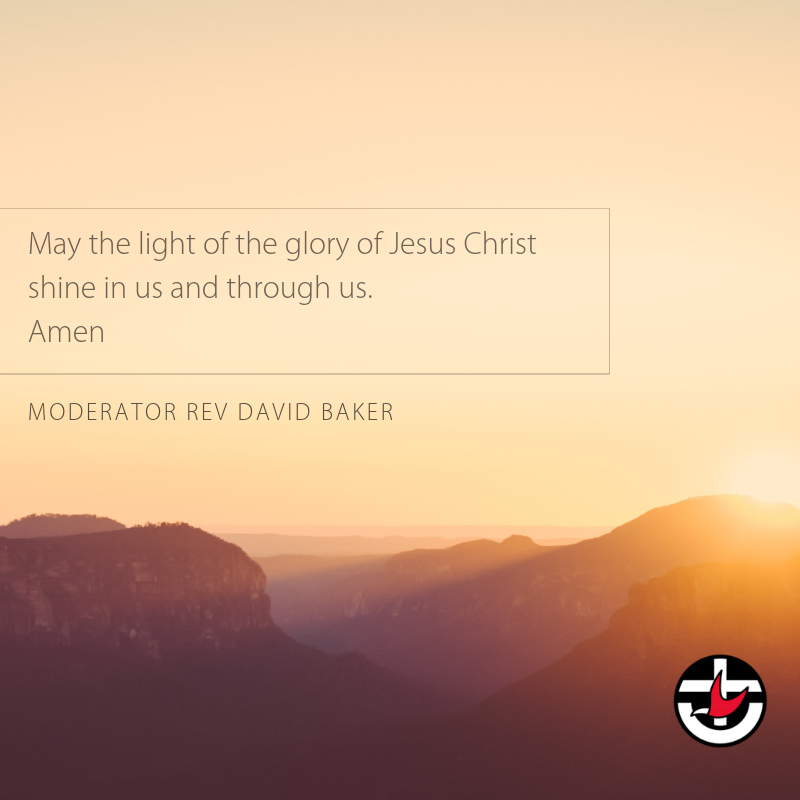 In this week's moderator's musing, Rev David Baker reflects on the recent news following the special presbytery meeting in South Australia. "Our church faces many challenges, but first and foremost we must have before us the vision of the kingdom of God; a world reconciled to one another and to our creator." Read more. Redcliffe Uniting Church is pursuing an exciting vision of adding a Christ-centred community services space into its life and ministry. A space where like-minded community service organisations can join us in life transformation. We are seeking the services of a highly skilled professional with a passion for Christ and God's mission to manage the business/administration side of this venture as it builds and performs. This is an exciting opportunity. Applications are now being accepted. Closing date 25 January. Please pass this on to suitably qualified people. See position description. An opportunity exists to lead and guide a receptive congregation in a prestigious city church to its next phase of spiritual growth and development. The congregation of St Michael’s is looking for a minister who embraces contemporary, progressive Christian theology. St Michael’s enjoys a vibrant arts and music program which is integral to Sunday services and other scheduled events. You must be a well-researched and inspiring preacher who understands the opportunities a well-resourced church can offer. Read more. The Illawarra Presbytery (NSW) is seeking to fill the position of Tertiary Minister. An exciting ministry opportunity for a creative individual is now available within the Illawarra Presbytery. This full-time Presbytery Tertiary Minister role combines the work of chaplaincy at the University of Wollongong (50 per cent), with the creation of new and relevant worship expressions at Wollongong Mission Uniting Church (50 per cent). For a copy of the position description/profile please email the Presbytery Secretary at illawarrauca@bigpond.org. Applications close 8 February. Bremer Brisbane Presbytery invites you to the induction service of Rev Ross Mackay held 19 January, 2 pm at Sherwood Uniting Church, 706 Sherwood Rd, Sherwood. The Queensland Synod Chaplaincy Commission together with the Moreton Rivers Presbytery invites you to the service of induction for Rev Dr Wendi Sargeant at 2 pm, 7 February at the multi-faith chapel, ground floor of the Ned Hanlon Building, The Royal Brisbane and Women's Hospital. President of the Uniting Church in Australia Dr Deidre Palmer has issued a pastoral letter and a prayer to Uniting Church members six months after the Fifteenth Assembly meeting. In the letter Dr Palmer expresses her deep gratitude to church members who have listened to one another with open hearts and entered into challenging conversations around Assembly members' decision on marriage. In December 2018 the Uniting Church in Australia provided the Federal Government with its application and supporting documentation to participate in the National Redress Scheme for people who have experienced institutional child sexual abuse. 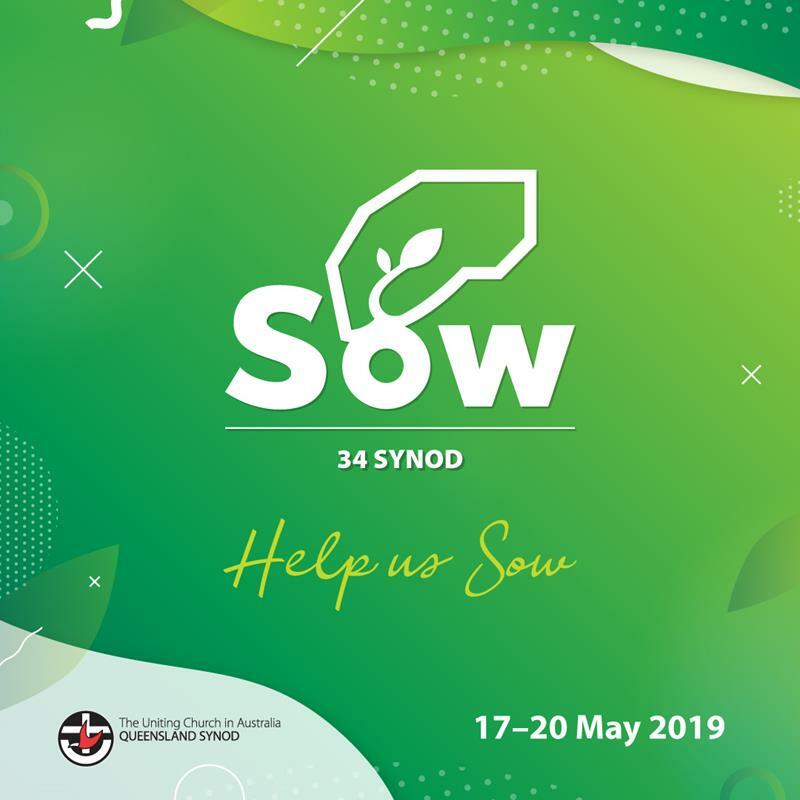 The Assembly submitted information from all six Uniting Church Synods to be covered through the Uniting Church’s participation in the scheme to the Department of Social Services in Canberra. The submission followed months of work in cooperation with the Department and Uniting Church bodies across the country. Read more. It’s no longer a rumour – Easter Madness is coming! Registration will be opening very soon – while you’re waiting you can visit the website and fill in your expression of interest and get all the details. Easter Madness is for high-schoolers (youth group leaders and other leaders are invited) and will be held at Alexandra Park Conference Centre. Price for early-bird registration is $199 ($249 for standard registration). 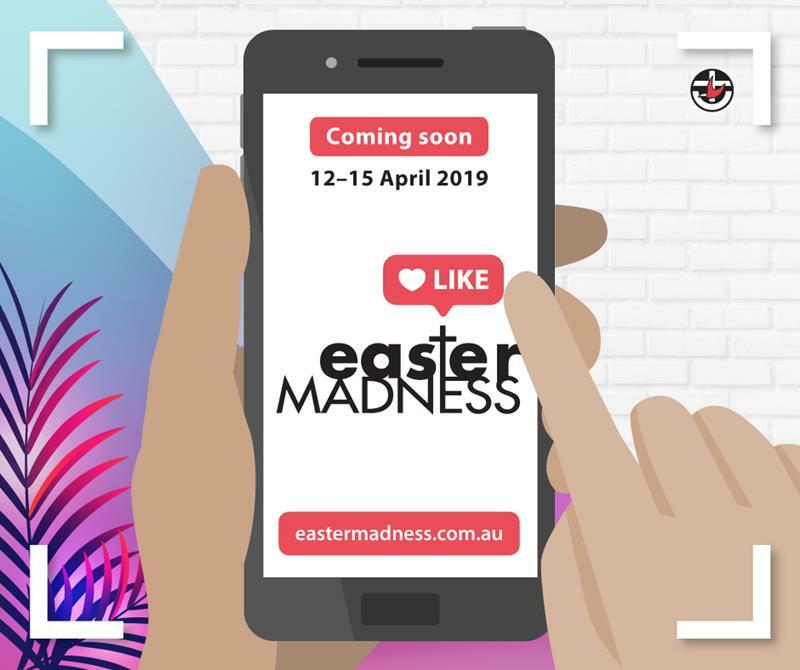 For more information head to the Easter Madness website.